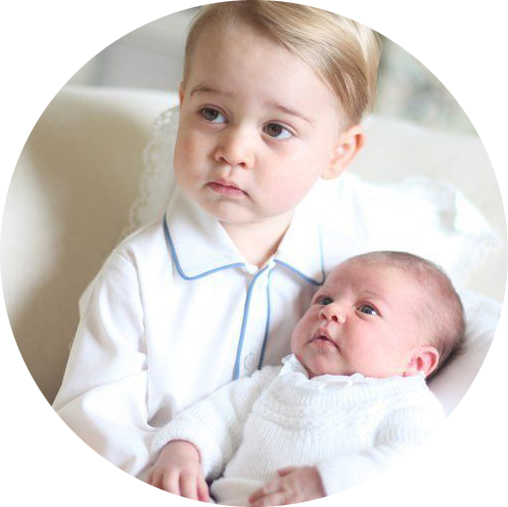 Well we know where Prince George gets his fashion sense from! 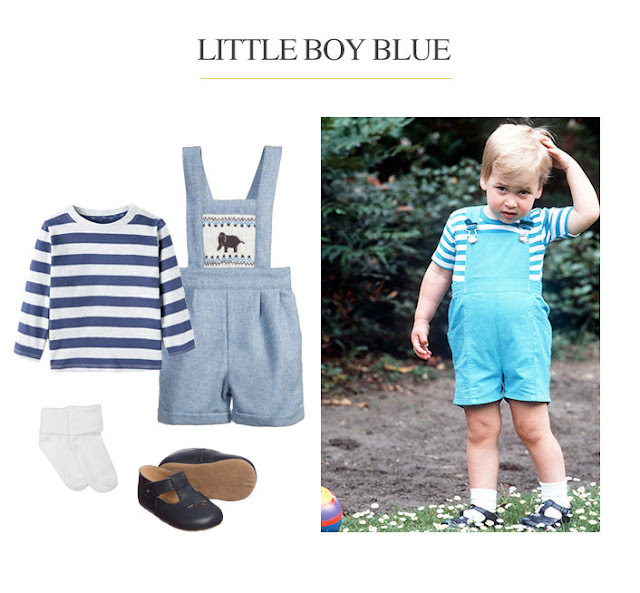 Prince William was a seriously stylish royal as a child so we've picked some of our favourite looks and have shown you how you can dress your little bundle of joy just like a mini royal! 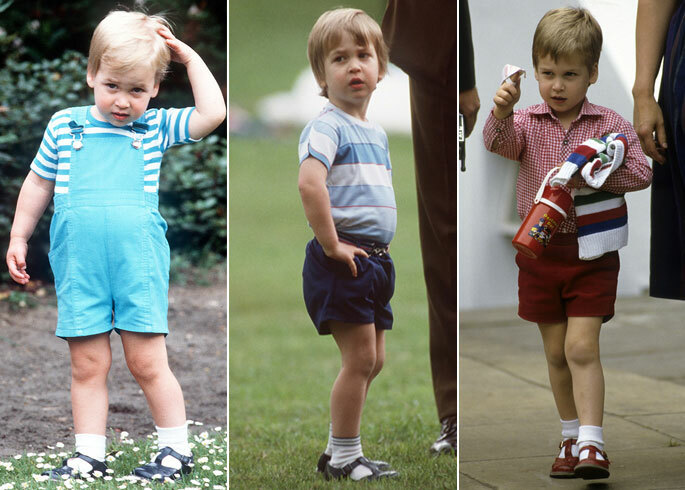 Here, Prince William looked super cute dressed in a pair of dungarees and stripped tee during a royal photo call in the Kensington Palace gardens - it also happened to be his second birthday! For this look, we love Rachel Riley's smocked dungarees paired with Mango's stripped tee and Early Day's 'Robin' pre-walkers. Finish with these white socks from John Lewis and you'll be looking just as sweet as little William! 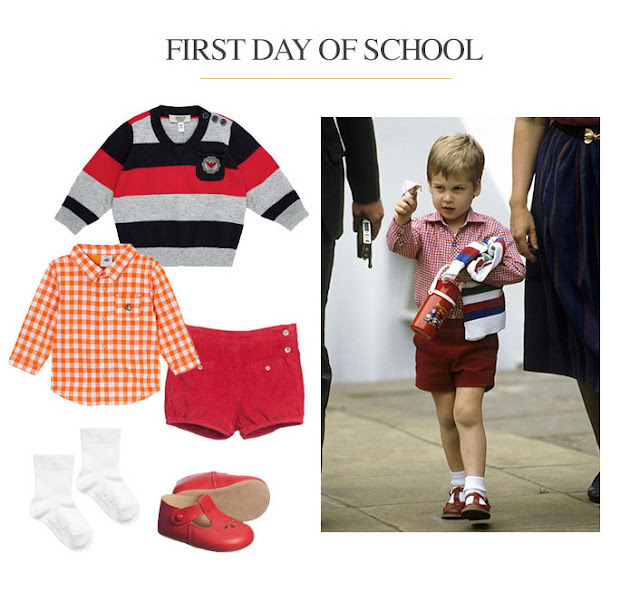 Prince William arrived for his first day at nursery school in this little get up and we bet he made a big impression with this smart-casual outfit. Laranjinha's corduroy shorts paired with Armani Junior's stripped jumper and Petit Bateau's check shirt work great together if you want a look just like this. Finish with Early Day's 'Robin' pre walkers and Falke's white socks and you'll be set for your first day too! Prince William watched a display by the Red Devils on the grounds of Kensington Palace with his family in this adorable relaxed outfit. Create this look with BOSS' polo shirt and Ralph Lauren's varsity shorts finished with striped socks and t-bar booties. 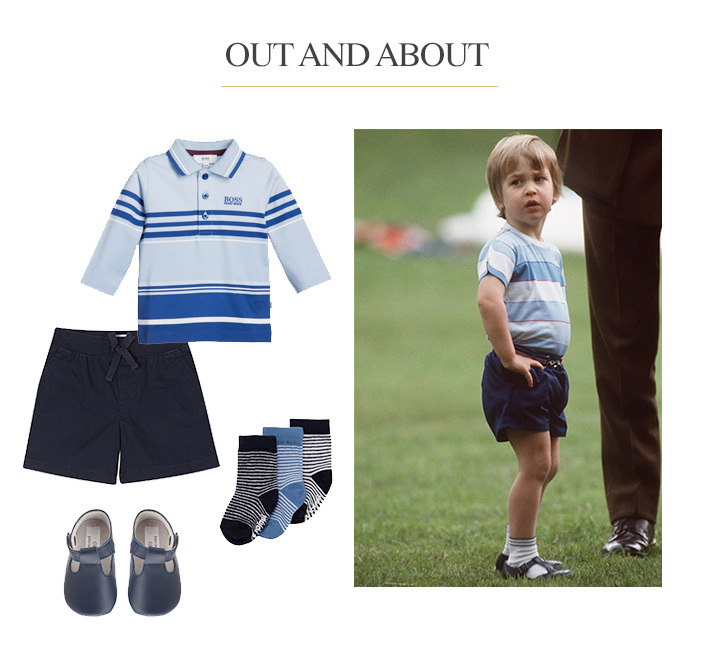 This outfit is perfect for energetic little boys to be playing around in while still looking stylish. Which one is your favourite outfit? We cant pick!